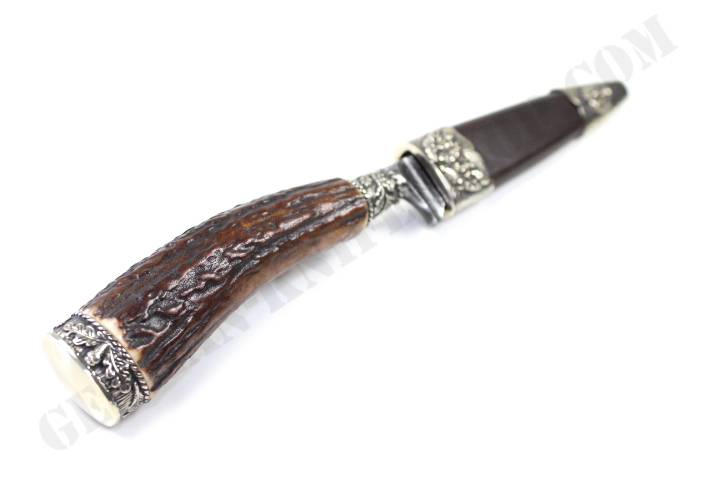 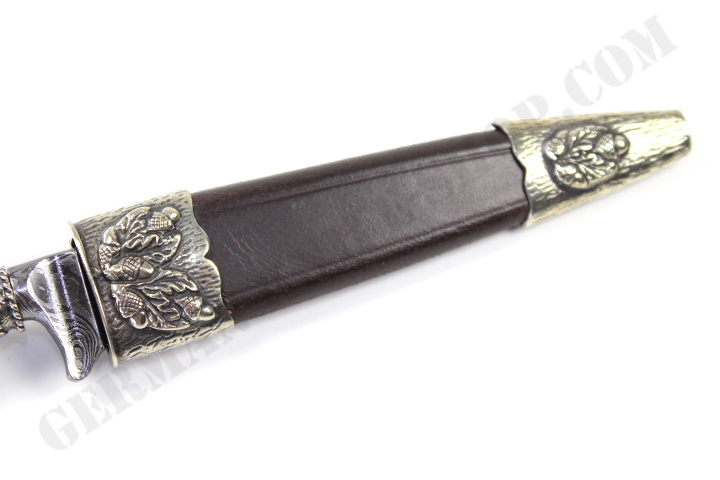 “Oak leaves” handle mountings and sheath fittings of nickel silver. 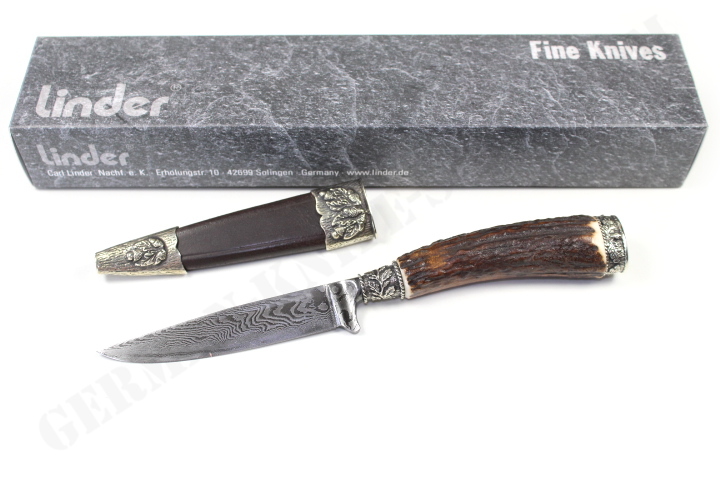 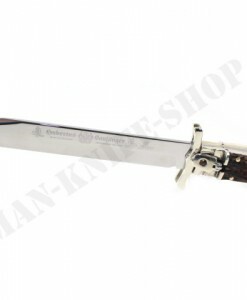 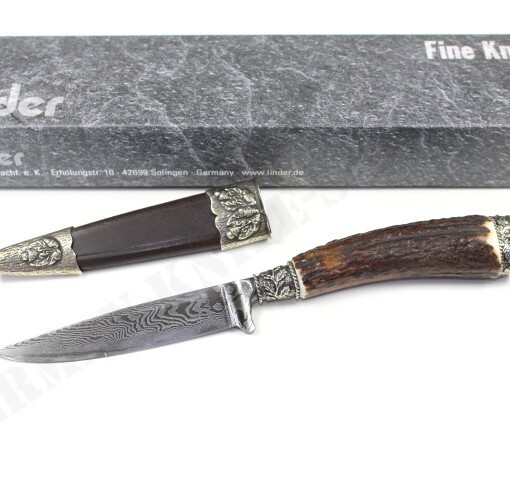 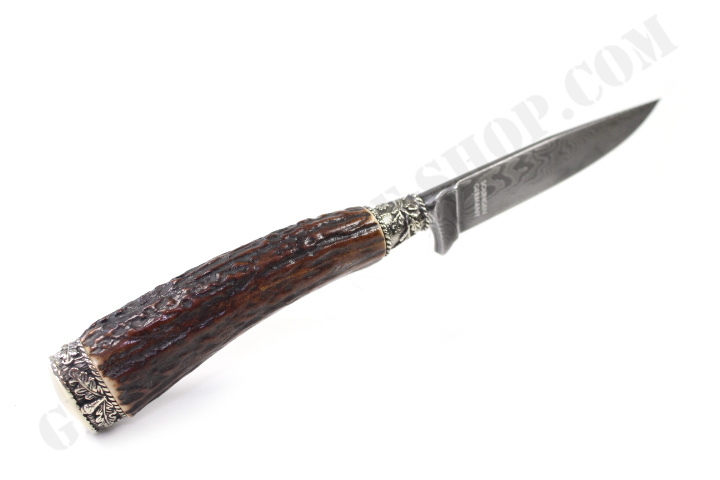 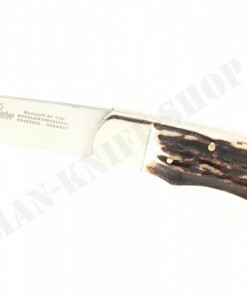 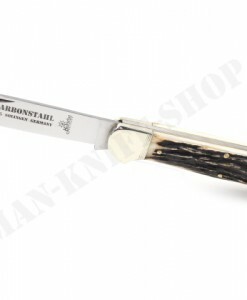 Unique Linder classic knife with drop-forged traditional damascus steel blade. 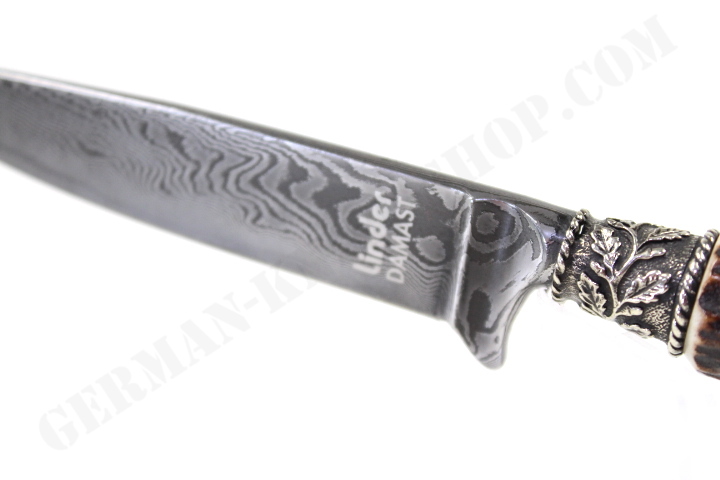 Damascus steel made by Markus Balbach, a renowned German damascus smith. 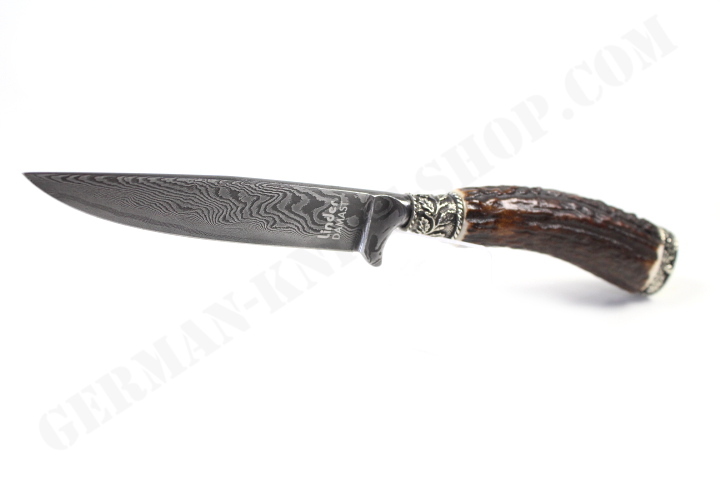 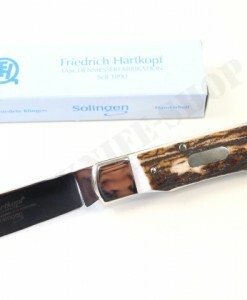 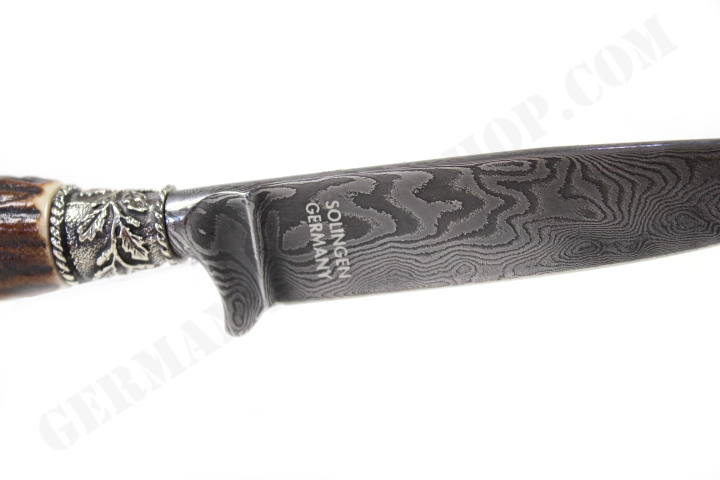 The 10 cm (4”) blade of 160 layer traditional carbon damascus was forged in Solingen, the knife assembled in Solingen at Linder. 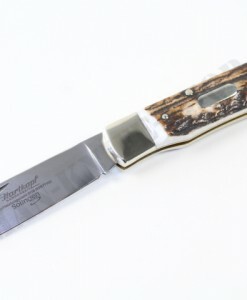 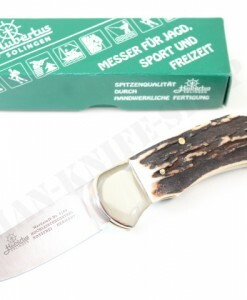 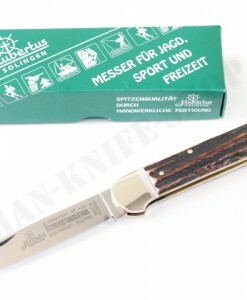 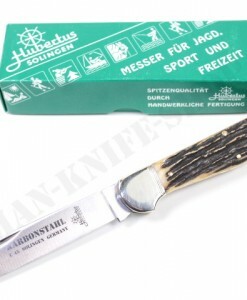 Only selected stag used for the handle. 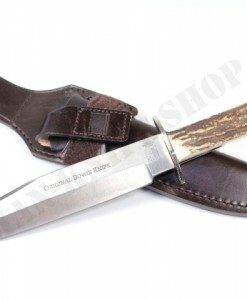 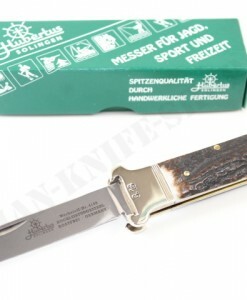 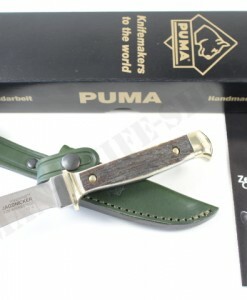 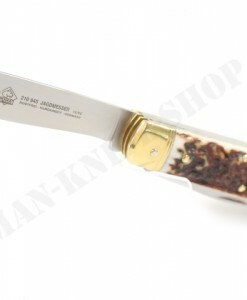 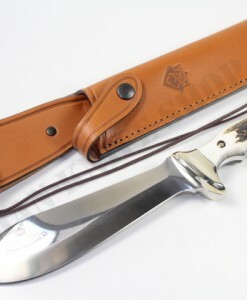 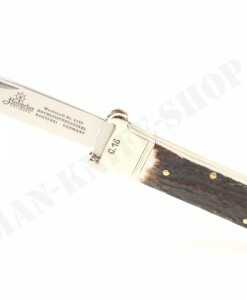 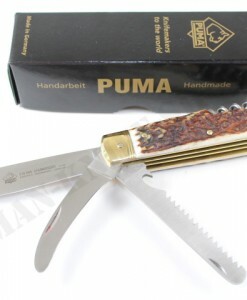 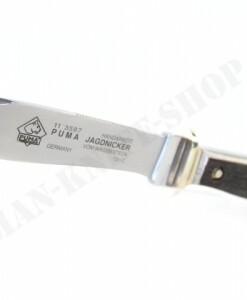 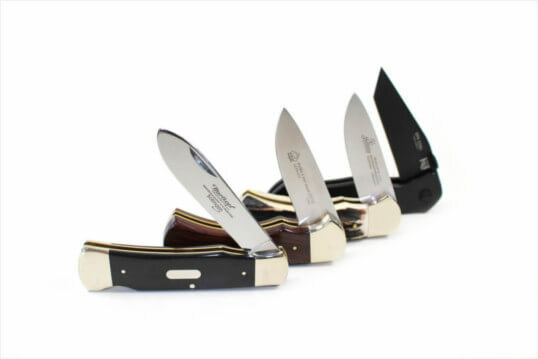 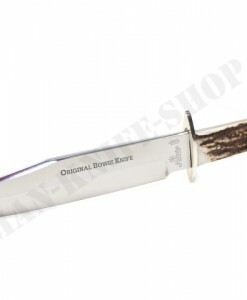 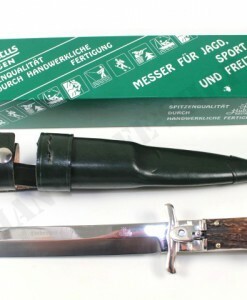 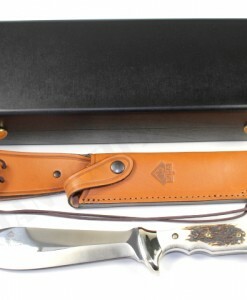 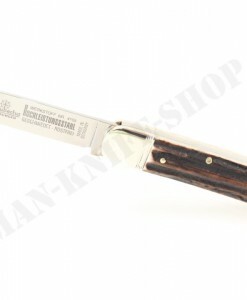 The knife come in leather sheath as shown.